Here’s a hands on review of the ITC-308 temperature controller. The controller body. The control has two readouts. The top is labeled PV. 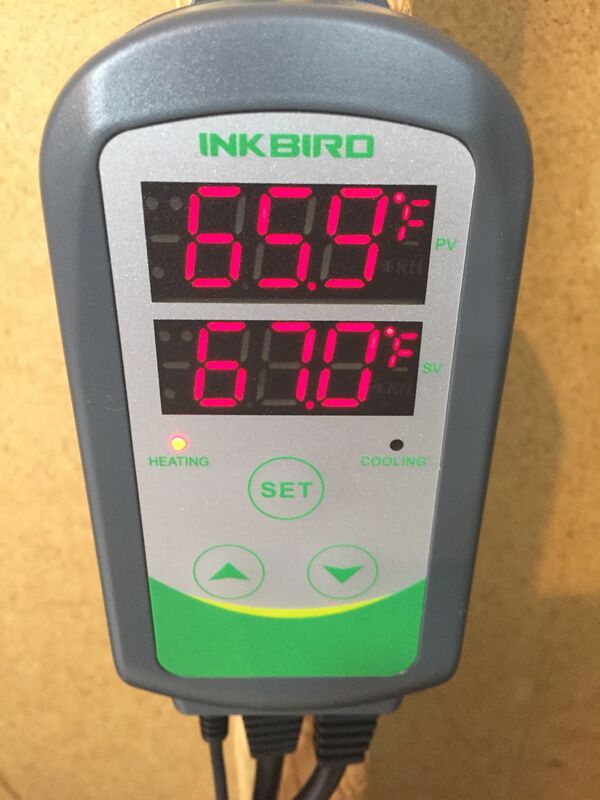 That stands for “Process Value” and displays the current temperature. The second reading is SV or Set Value. It displays the set temperature. There are two lights below those readouts indicating whether the controller is calling for cooling or heating. The unit has three buttons – SET, up and down. To get into settings hold the SET button down for 3 seconds. A short press of SET cycles through available settings while the up and down buttons change values. The ITC-308 has the following parameters – expand the section below to see the list. This list shows the menu abbreviation followed by the full setting name followed by a definition of what that setting means or does as best as I understand. Note that available options may change over time if Inkbird chooses to update software on this controller. AH – Alarm High Limit – When measured temperature is higher or equal to AH, high temperature alarm will be triggered. 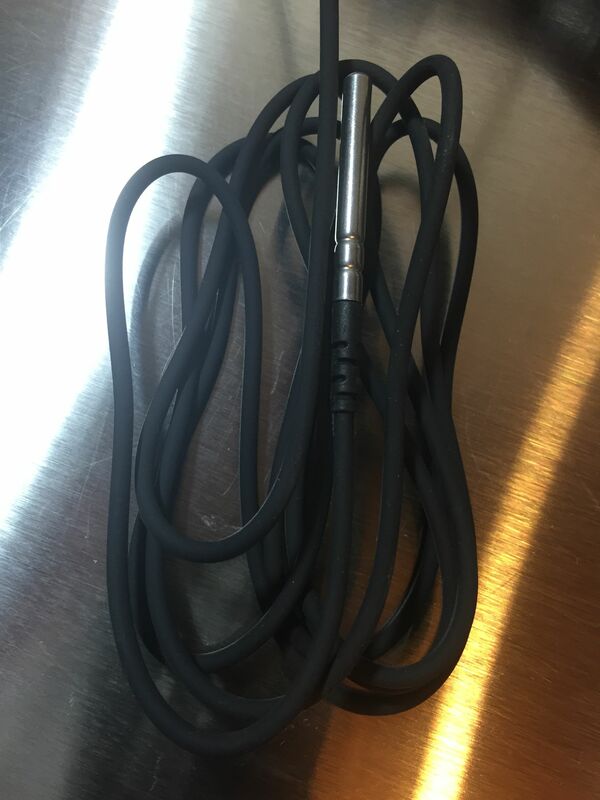 The manufacturer says that the temperature probe is waterproof and submersible. I’ve found that to be true. Here is the probe submerged in a Klean Kanteen Insulated Growler. I left it submerged for a couple weeks and it continued to work as expected. Here’s a look at the plug in cable. 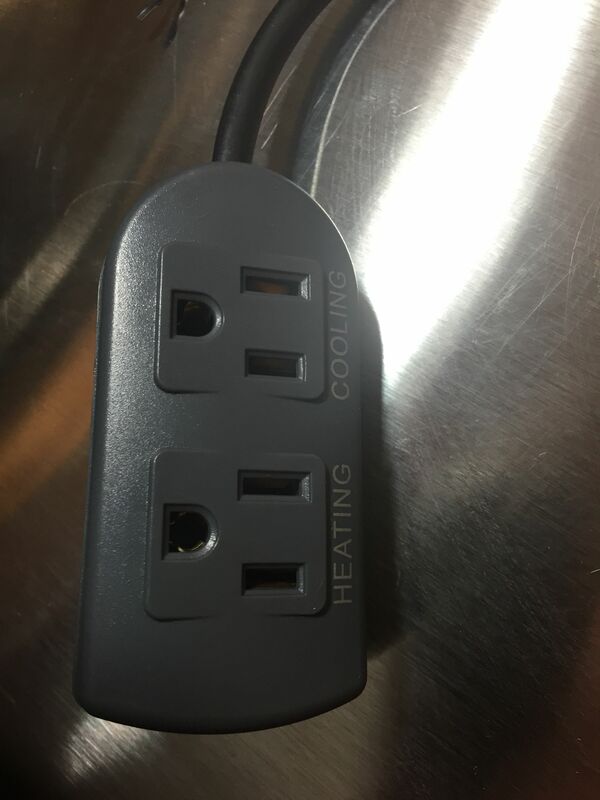 It has two outlets, one labeled cooling and one labeled heating. Plug your cooling device (typically a refrigerator or freezer) into the cooling device and your heating device into the heating outlet. You can also leave either unplugged if you’re only interested in heating or cooling. 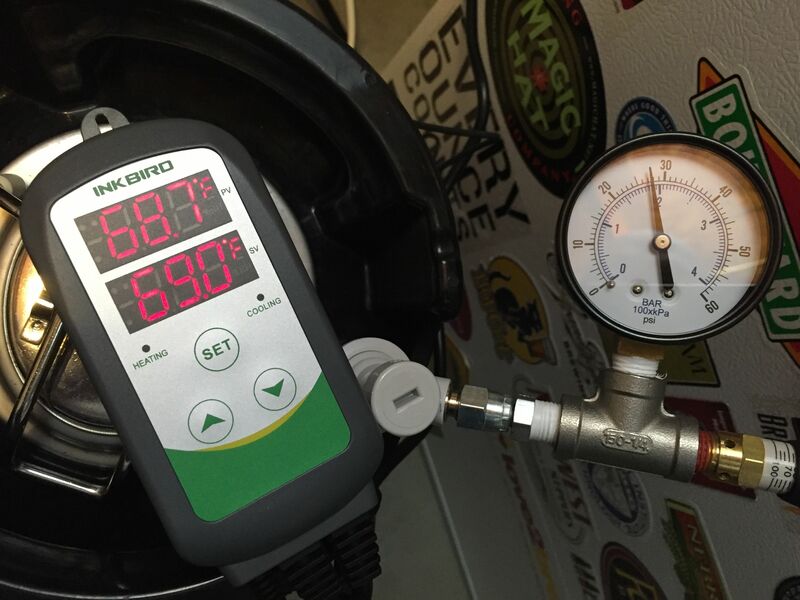 By using both a heating and cooling device you can really dial in fermentation temperature. Or, if you’re running a kegerator, you’re probably only interested in cooling. The Itc-308 and similar controllers are sometimes called overriding temperature controllers. The thermostat in this unit essentially takes over control from your heating or cooling device by cycling on and off the power as needed. Back of the unit. Displays some specifications and additional information. The mounting hole in use. A screw is not included. I tested accuracy using an ice water bath. Here is the probe submerged in an ice water bath housed in a Spiegelau Stout Glass. The ice water reads 32.5 deg F. That’s within .5 deg F and relatively impressive. For a point of reference, that beats the stated accuracy tolerance for both the CDN-DTQ450X (+ or – 2 deg F) and the Thermapen Mk4 (+ or – .7 deg F). 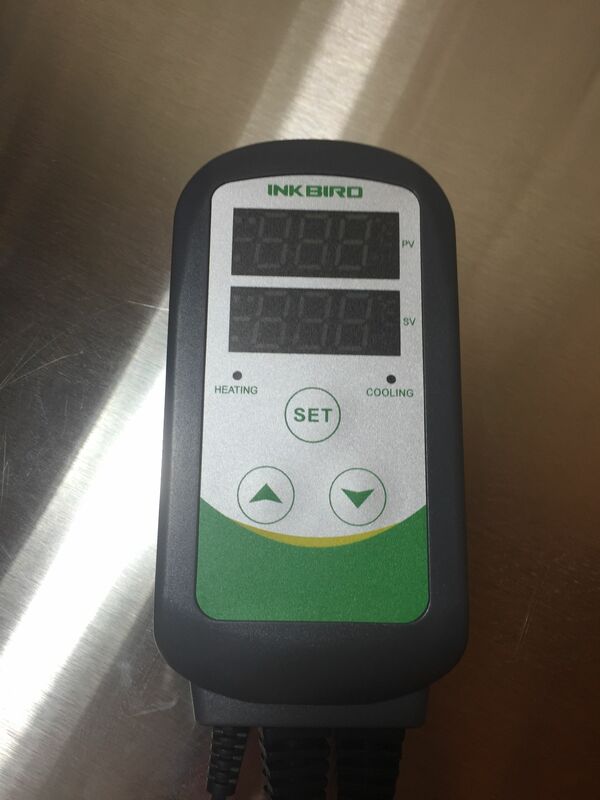 The ITC-308 can also be calibrated if necessary. 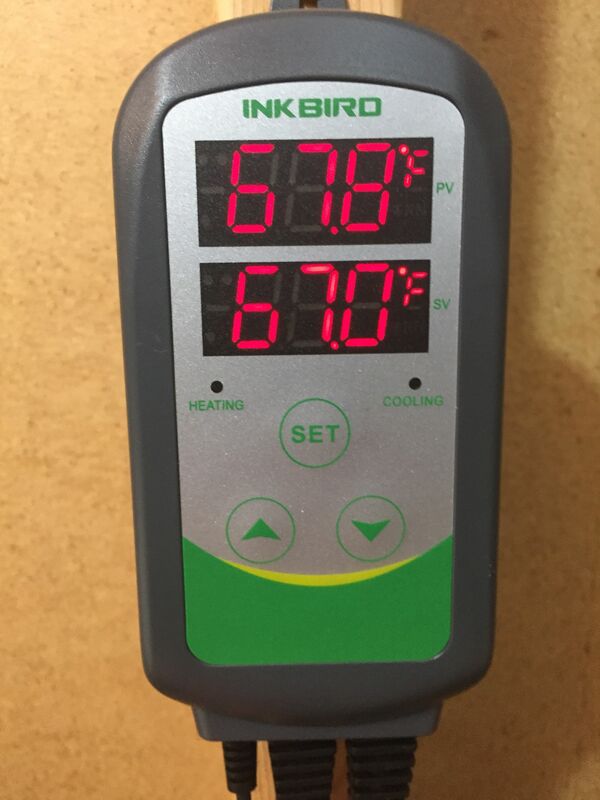 After years of using this temperature controller, I can heartily recommend it to you to aid with fermentation and kegerator temperature control. I think the Itc-308 is an outstanding choice. 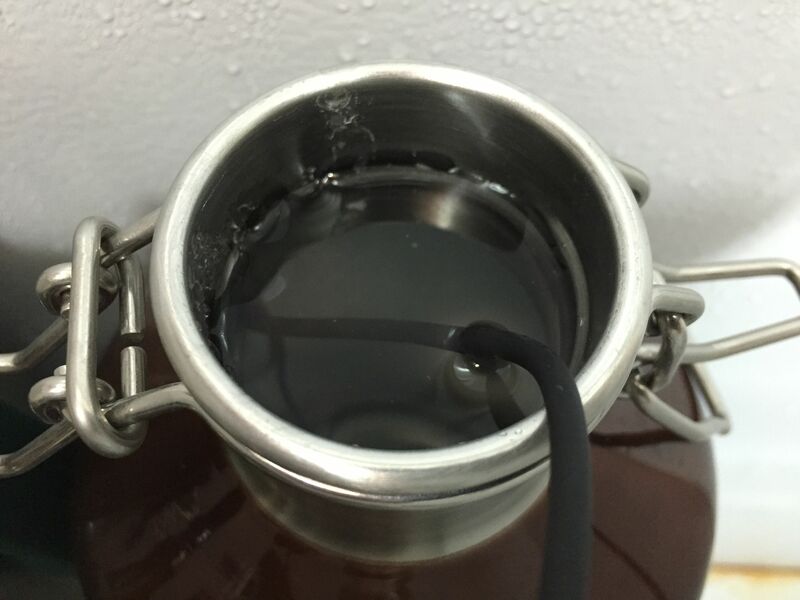 This entry was posted in Amazon, Draft, Draft Top Picks, Featured Reviews, Fermentation, HBF Tested, ig, Inkbird, Kegerator, Reviews, Reviews & Top Posts, Temp Control on December 29, 2015 by admin. Could I use this with a1500w heat stick to heat mash water and boil wort? No, that exceeds the rated capacity for this controller. Sorry, if this is a dumb question, but could you please define the menu options? I’m guessing the temperature set value is the value you want your fermenter to be at…….can you confirm the others pls? That’s a great question Pete. I added descriptions of those along with a chart of possible values. Cheers! I think installing sensor inside a water vessel is a good choice. Moreover if you use to open door sometimes. People that says 10 degrees difference between fermentator and inside air maybe is because are reading with door open. If 10 degrees is right, test the oppose: when you read with thermowell the water is coldest by 10 degrees? I don’t think so. Fermentation is exothermic but the power of freezer will put the system in thermal equilibrium for sure. Could you use this as a double heating or double cooling thermostat? If I’m understanding you correctly, no I don’t believe that would work. You’re suggesting two upper limits, this unit has an upper and lower limits, one for a heating cycle and one for a cooling cycle. 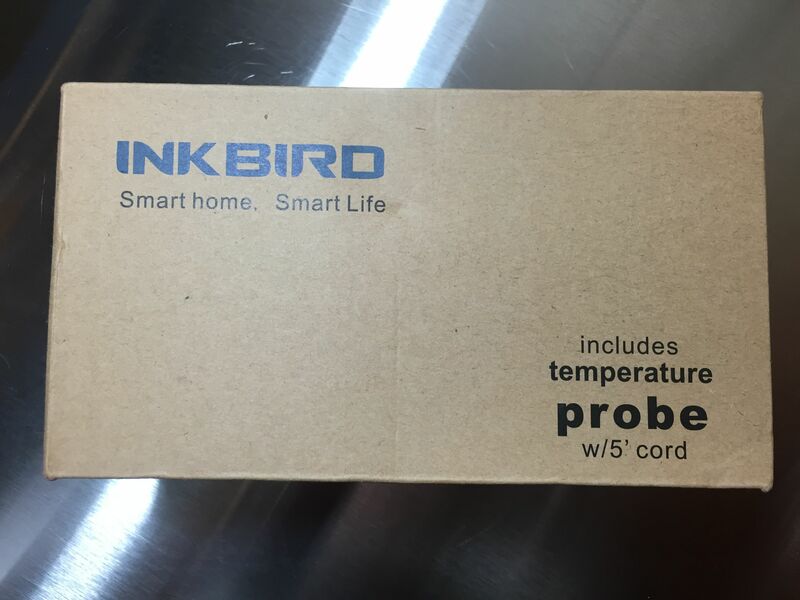 I just recently started to use this inkbird and for me; so far so good! Should i let the fridge run on high level (set to be really cold) or is it better to let it cool down slower by setting the fridge on low level? It would be interesting to learn how this affects the temp profile. 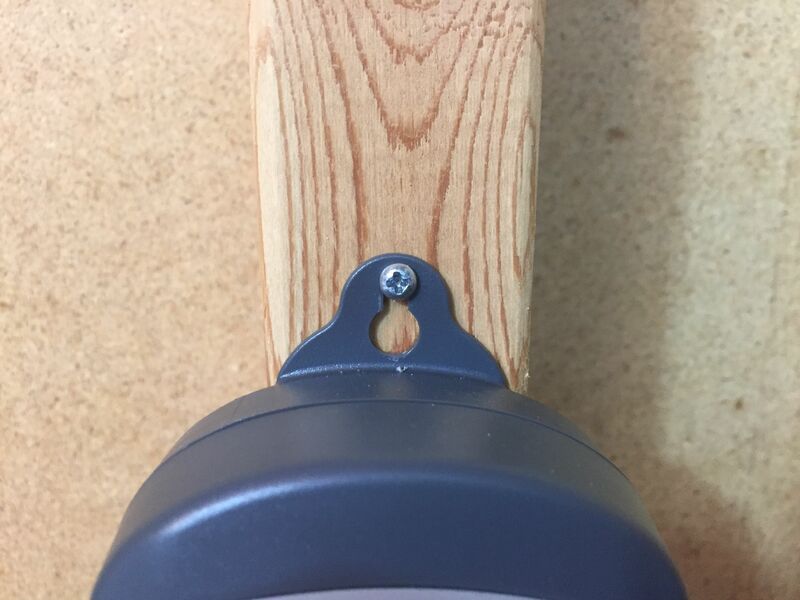 I used duck tape to attach the probe on my fermentation bucket…. I believe the general advice is to run it on high (highest cooling ability). That’s what I do with my deep freeze and it has worked dandy for me for a long time. I have one of these on order, and am looking forward to using it soon. Looks like a very good value for the money. I’d be careful about submersing the insulated wire portion of the temp probe into the beer. Some Chinese wire insulation has been found to contain lead. They make a unit with a 12″ stainless steel probe which would be safe. Granted, the trace amounts of lead are probably not as bad for you as the alcohol, but it’s something to consider. I think taping or rubber banding to probe to the outside of the fermenter would give a fairly accurate read of the fermenting beer inside. 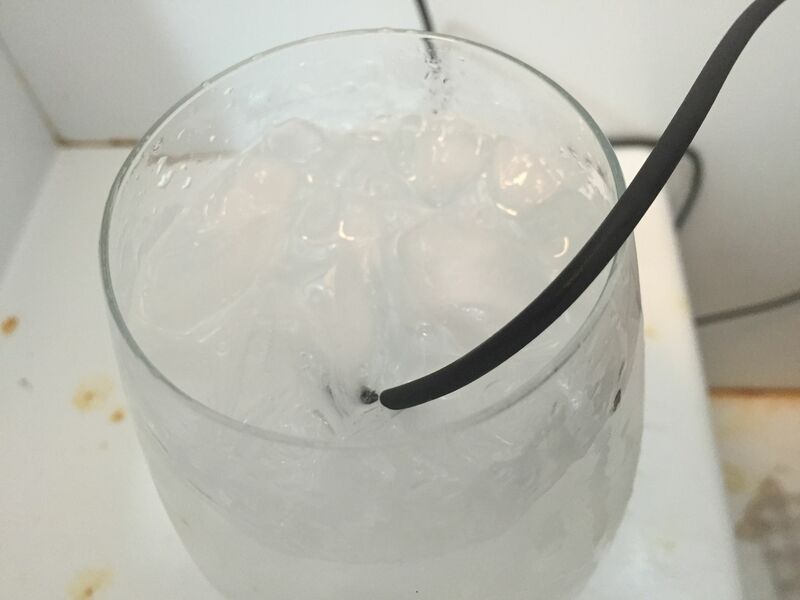 Others have said they put the probe in a separate glass of water. That’s not a great idea, since the fermenting yeast can raise the temp in the wort by 5-7 degrees. That won’t be measured in a separate glass of water. I like that the cooling circuit has a programmable delay to protect the compressor. I wish this item was UL tested and certified. Hey man. I just bought one of these and am using it with a chest freezer and a fermentation heating pad I got from a homebrew supply shop. I set it up for 1 degree of differential and it seems to be working well. 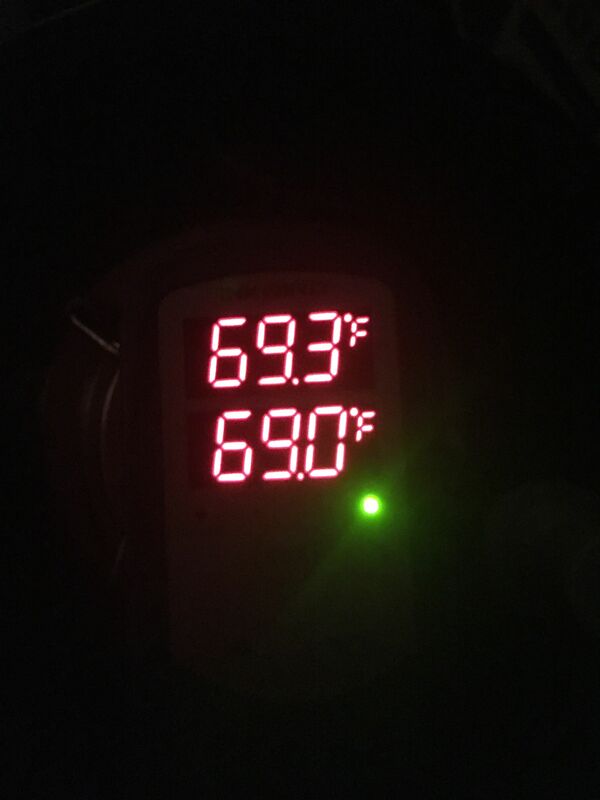 However, with the chest freezer, it seems to drop several degrees below my desired fermentation temp before it ramps back up to the temperature I want. Any idea how to make it more consistent and not drop so low? Hey Bryan! Glad it’s working well for you. The setting you want to change is called “Heating Differential” That tells the thermostat how much of a swing you want have. Stated another way, how close you want the temperature to stay to where you’ve set it. For fermentation, I have mine set at 1 deg F. Hold down the SET button for 3 seconds to get into the menu. The first value is TS = Temperature Set Value. Hit Set to go bask that. The next one is HD or Heating Differential. That’s the value you want to change. Hold down set again for 3 seconds to save you changes. I’m using the ITC-308 with a chest freezer for a fermentation chamber. Should I use a warming wrap or something to add warmth when needed? In the summer I’ll use the chest freezer and in the winter I’ll ferment in the garage. Hey John! That’s a great question. I would say a heating source is helpful year round. Not 100% required, especially in warmer times of the year, but certainly helpful. 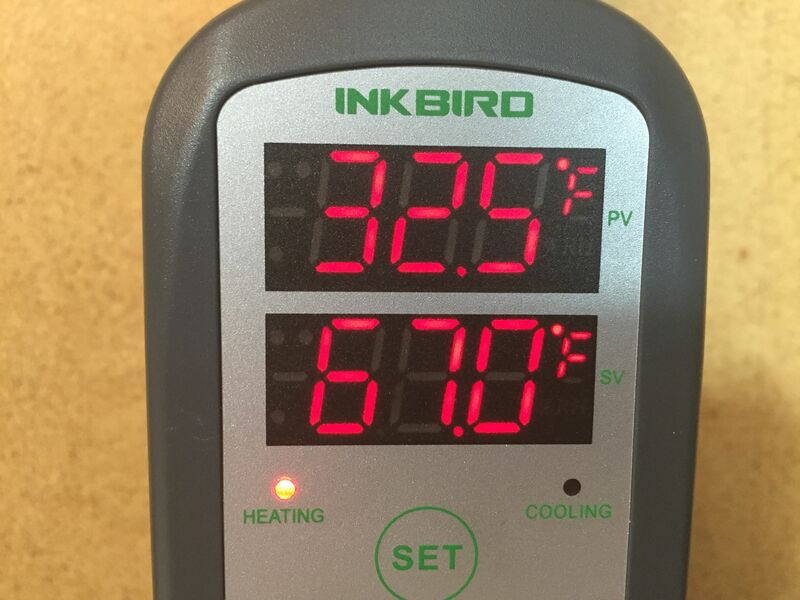 A heating source gives the ITC-308 a tool to use to really keep temperatures in line. It’s also handy for times that you actively want to drive up fermentation temps, let’s say during a diacetyl rest or to try and keep fermentation actively going, if the yeast are wanting to quit early. Check out this post for some of the heating options that are our there. Good write-up. I bought one of these to try up against my A419 single stage. At the price point it sells at, I expected it to be disposable low-end Chinese manufacturing. I’ve used it for two batches now. One Saison that was fermented at warmer temps and one lager. So far, I have to say, I’m impressed. A 2-stage controller that costs less than my single stage A419, and so far is working as well. Thanks for the tip on the the probe being waterproof too. I didn’t realize that. Do you know what happens to the power of the plugged in heat and cooling sources if the unit fails? Will they both go on or both stay off? Or is this a setting? It’s a preference, so not trying to judge, but I’m not buying the hype on this cheaply made Chinese crap…. Haha what?? It took me longer to open the packaging and box than to get it running. Pretty simple and if not, there’s sites like this that lay it out even easier. Surprised you struggled with this – I found it pretty much plug & play. The unit itself is of excellent quality and I’m very happy with it, a friend of mine owns a Ranco and he is selling his to buy an Inkbird! 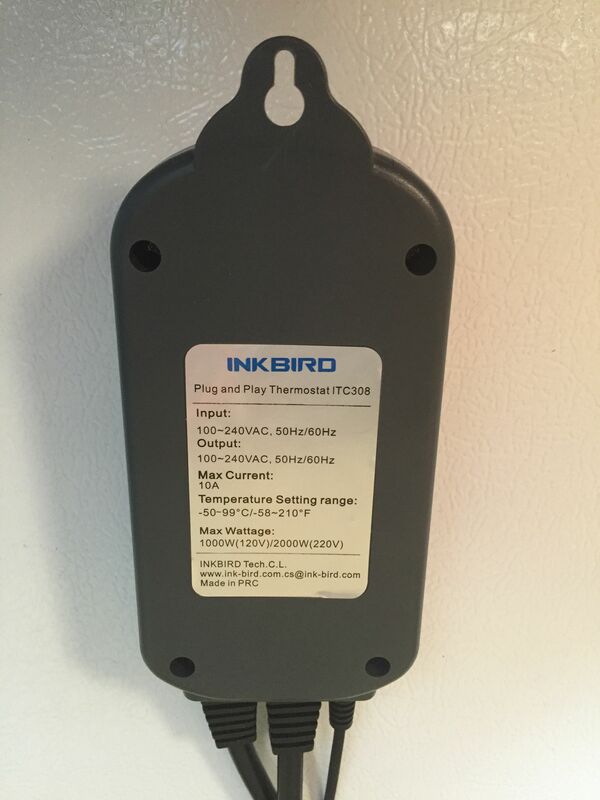 Inkbird makes a unit with a 12″ stainless probe that is replaceable. The model is : Itc-308S They also sell a 2″ replacement probe (NTC-5CM) that fits perfectly into a SSTECH brew bucket thermowell. I’m really happy with set up. Near perfect temperature control. Just bought one and installed an SS thermowell in the side of my bucket, along with a FermWrap in my 55degF basement. I’ve dropped a temp. logger in the water to monitor the controller’s performance. I get some (albeit minimal) overshoot. I’ve changed the heating dead band to 1degF. Setting a set point of 67 usually overshoots to about 68.2. Any experience with how it varies between just water vs. actively fermenting wort? And advice on settings? Because of your post and review of the product, I bought this unit. Great review, and so much cheaper than a Johnson. I appreciate you finding this! Thanks for the write up. I just received my 308 and was wondering if you changed any of the setting values for compressor delay, heat and or cool differential value for fermentation? I’d like to keep the beer within one degree and not have it alternating between cool and heat constantly. Thanks! Hey Jason! The only setting I changed for fermentation was… I changed the offset to 1. I don’t think you should have a problem with the heating and cooling cycles “fighting”, I have not. If do have that, you could change the offset to 2. Where do you put the temperature probe? I use both glass and plastic carboys (and occasionally a large Speidel) and I tape the probe to the vessel and cover it with a small tissue pack to add some insulation. At the end of the day though I am reading the temp of the vessel and not the contents. My thoughts are that there isn’t likely to be a significant difference between the two temperatures. Thoughts? Hey Dean! I usually either tape or rubberband (big rubberbands) the probe to the side of my fermenter. The fermenter and beer constitute a relatively large amount of mass. I really don’t think there is a huge difference from the side of the vessel and the thermowell. I heard of someone (maybe Jamil Z?) doing a test on this and finding the temperatures were close. I wish I had some more concrete numbers to give you, but for me… I put it on the outside of the fermenter and feel like that works well. I use a beaker full of water to put my sensor in. The water should be very close to the brew temp, plus, it’s more stable and doesn’t turn on the heat or cooling as much! For ambient temps you are correct, however while the beer is in fermentation phase I find that the temp variation can be as high as 10 degrees. So if you seek to maintain beer fermentation at a set value the only way I’ve found to do so is with a thermowell in my bucket lid ($12). I’ve tested using the method of taped to side of bucket/carboy, in a vessel of liquid and in the thermowell. So far thermowell is best for my systems when wanting to maintain temp of the wort/beer.